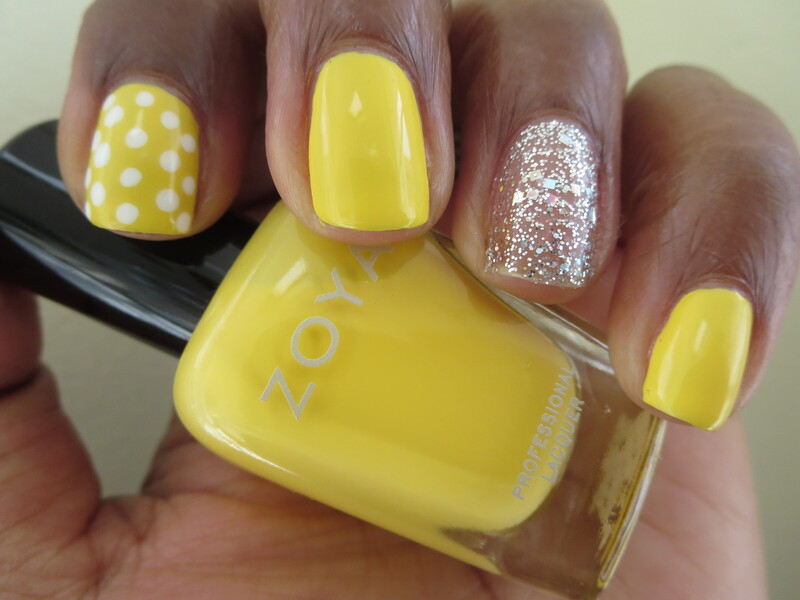 Zoya’s Pippa just screams Spring to me. I pull it out every Spring/Summer and it always makes me happy. It’s such a bright and beautiful yellow it has to make ya happy right? I used a base coat, two coats of Pippa, and a top coat. On my ring finger I used two coats of my favorite new glitter OPI’s In True Stefani Fashion. I scored that beautiful glitter at Ulta for half price and I love it! Such a pretty glitter with beautiful multi-color flecks. I also got out my dotting tool and put some fun dots on my other finger over Pippa. I used Sally Hansen’s White On. I think this might be a fun and easy manicure for anyone. 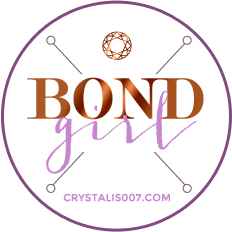 If you don’t have a dotting tool use a bobby pin or toothpick! It’s really easy. 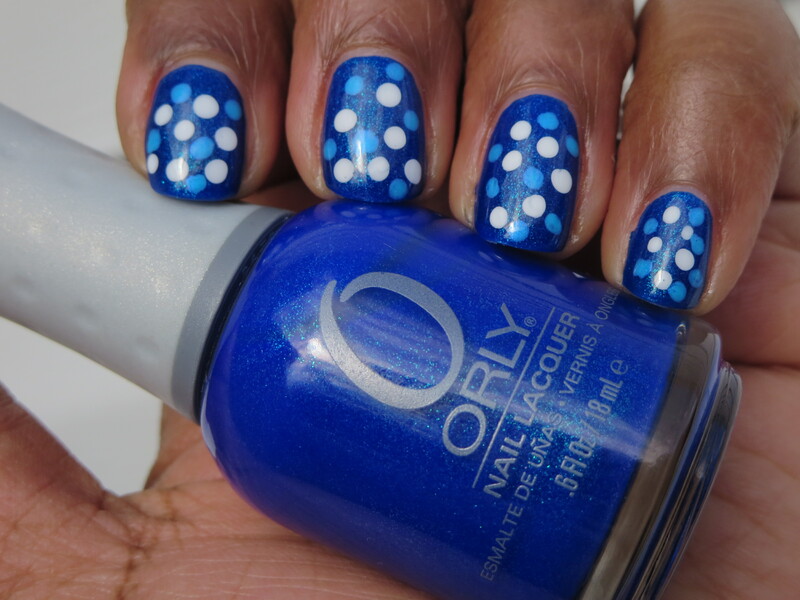 Remember my Dotty Navy NOTD post? I did all of those dots with a toothpick. Check it out! But back to Pippa. Did I mention I love her? 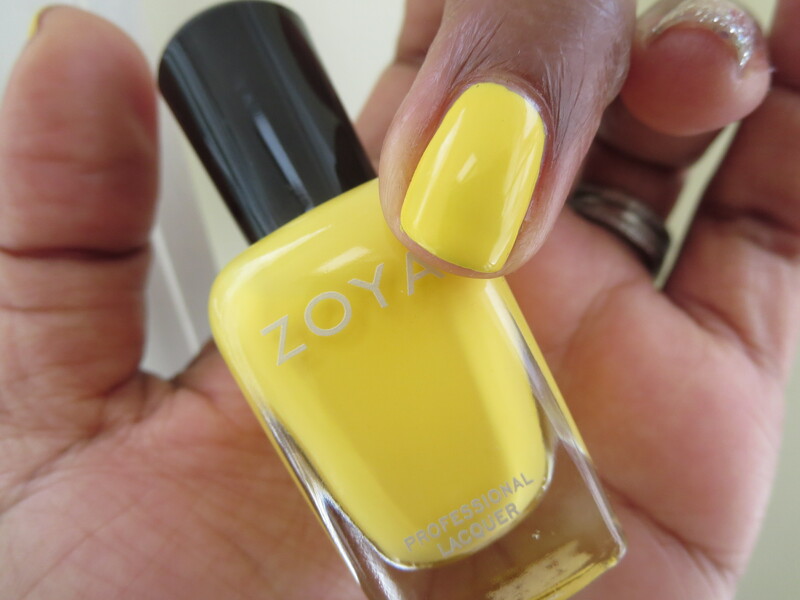 One of the best yellow polishes I’ve ever had. How fun! I need to play around with my dotting tool some more. That has to be a weekend thing. I painted my nails last night but that was straight polish and and glitter. Yeah I have to take my time with the dots. I have a shaky hand lol! I just love the dots!! This is pretty I’ve never tried yellow. Looks nice! Sooo pretty! and I really love that you paired it with silver. I have a yellow that I have always worn on my toes during summer, but I’m gonna bump that up to my fingernails on Sunday. Thanks for the inspiration doll. That’s going to look great! I’m going to put this on my toes I’ve never done that but it’s gonna look cute I bet! My ties need any cuteness trust me ! 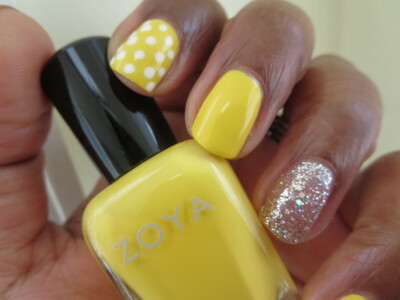 I love that yellow do you need two coats? Yes. One coat doesn’t look good. Things even out when you put the second coat down.